Industrial décor is one style that will withstand the test of time. Our industrial canvas frames bring a natural warmth to your home, office, or gallery with their weathered finishes and coordinate flawlessly with galvanized metals. These wood floater frames are handcrafted to recall the sleek and sturdy elements of industrial times. Our inventory was selected to feature the perfect blend of modern design with a vintage flair to capture that industrial aesthetic. Our custom industrial canvas frames are handcrafted to fit the needs of your canvas photographs or art prints for a pretty but practical finish. 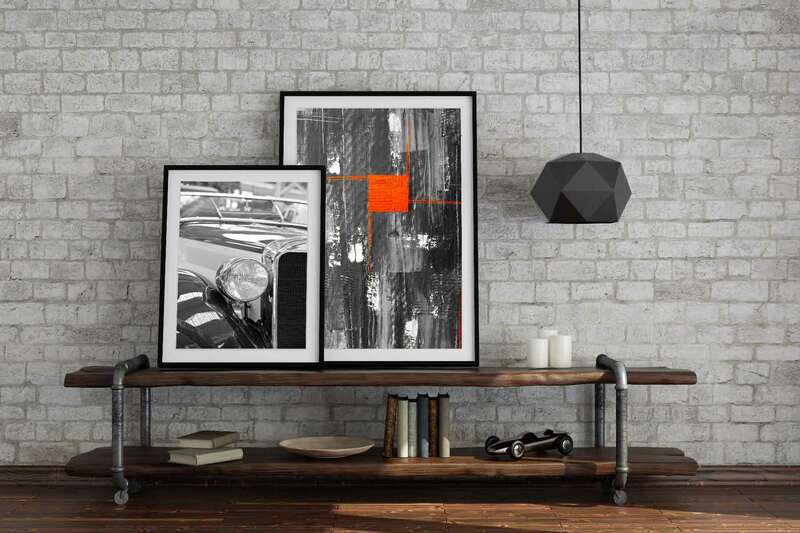 Achieving that retro vibe is easy with the help of our industrial canvas frames that are gallery-ready. Browse our large inventory of industrial canvas frames to help add those finishing touches to your home, office, or gallery by showcasing your canvas art.